Imagine visiting Kenya and seeing it’s highlights — from its bustling cities to the vast savannah — through the eyes of local storytellers. On this trip, we’ll be guided by Kenyans who are rewriting narratives about their communities and country. Join us as we travel across Kenya while learning from its best storytellers and change makers. During the trip, you’ll participate in hands-on workshops on writing, photography, filmmaking, and more from our expert storytellers. They’ll walk you through the basics and help you hone your own stories. Engage with local change makers. You’ll meet artists and activists using their talents to make a difference. Their stories will inspire you and give practical tips on how you can make a change in your community. Make a social impact by empowering storytellers. You’ll spend time with a group of young reporters from Kibera in Nairobi who tell the beautiful and complex stories of their slum. You’ll support their work with a generous donation (don’t worry - it’s already included in the program fees). You’re an optimist that sees the world in rose-colored glasses. Even still, you understand the tangled complexities of social justice and community development work. You know that good intentions alone aren’t enough. You know change doesn’t happen overnight. But you still wish there was something you could do. At New Lens Travel, we help you figure out what that is. We don’t send hundreds of people abroad every year. And we don’t do cookie cutter trips and feel-good promises. We help build intimate experiences that shape people’s worldviews and show a side of Africa that we don’t hear about in news and pop culture. We don’t shy away from having difficult, but important conversations about issues like power, privilege and oppression. We know you’ll wrestle with tough questions and challenge your assumptions. And just like us — we know you’ll walk from the experience with a new lens. Help us shift the one-sided narrative that’s already out there. This trip is for creatives interested in learning about a country through storytelling. It’s for people who are more interested in connecting with locals than in seeing every tourist attraction (although you’ll see plenty). It’s for people who care about social justice and their role in it, and who are open to having their perspectives challenged. This trip is not for folks who enjoy sleeping in and having lazy vacations. We have a packed itinerary! Throughout the trip, you’ll be guided by our storytellers. Every day, they share stories with the world, determined to change the way people see and talk about Kenya. Soon, they’ll share these stories with you. Biko Wesa is a photographer whose work has largely been about community, family and identity. He is currently experimenting with storytelling, self expression and abstraction through photography. He has exhibited his work in Germany, Holland, and the USA. His current work, A Bitter Pill/ Hakuna Dawa Tamu, is a collection of photos about indigenous medicine in Kenya is on display at Nairobi National Museum. Jamila is the face behind the multiple award-winning blog Life in Mombasa, about life and culture in Kenya’s biggest coastal city. She’s the city’s best-known advocate and is passionate about featuring the people and places that make Mombasa great. Jamila has been featured widely including on CNN African Voices. Farhana is a content creator and travel vlogger showcasing the lesser-known places in Kenya, particularly along the coast. Her fans, affectionately known as “Rafikis” enthusiastically follow her adventures. Farhana is an expert at cultivating and engaging audiences and creating social media content. This one-woman multimedia powerhouse will lead workshops on social media strategy and content creation. Cheddar is a storyteller, tour guide, and musician. 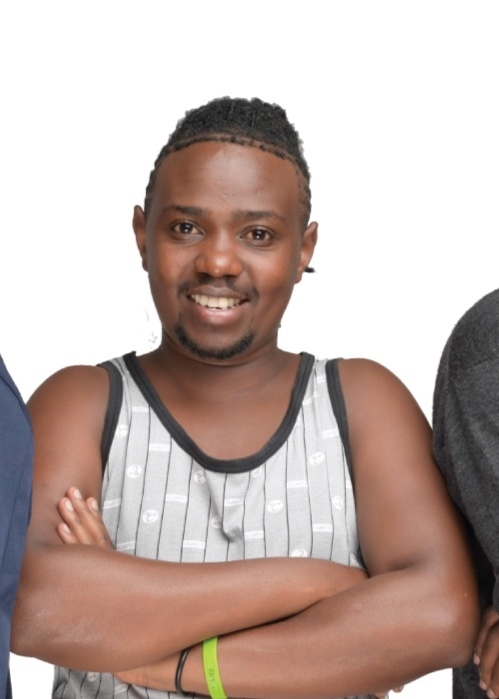 He spent his childhood living and hustling on the streets of downtown Nairobi. Now, Cheddar runs Nai Nami (translation: “Our Streets, Our Stories”), a tour company that gives guided walking tours hosted by former street kids like him, who share their personal stories and shed light what it takes to survive on the streets. Brian (also known as Storitellah) is a freelance photojournalist and the founder of Kibera Stories - a photographic account of life in Kibera, his home, and Africa’s biggest slum. Brian’s passion lies in documenting the norm of everyday life from the people around him and sharing their stories. Brian is a contributing photographer to Everyday Africa and has exhibited his work in Nairobi, Paris, Berlin, and New York City. Jacky is a freelance journalist, media trainer, and entrepreneur based in Nairobi, Kenya. 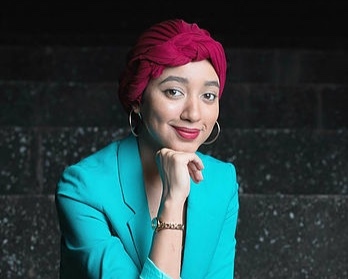 She reports about social justice, humanitarian issues, and women’s rights for media outlets including The CS Monitor, The National Post, and The East African. 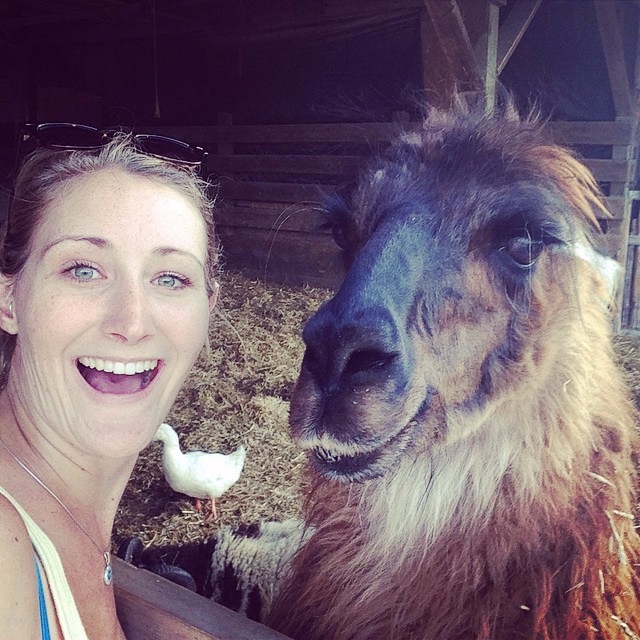 She started New Lens Travel because she believes in the transformative power of stories. Throughout my years working as a journalist in Africa, I’ve met incredible creatives and storytellers. These brilliant folks are sharing stories of their communities through their writing, films, photography, and reporting. And they’re doing it all with a mission to change the way people see their communities, Kenya, and Africa at large. We often hear about the need for people to tell their own stories. That’s why I started New Lens Travel — to give travellers a chance to connect with and learn from the continent’s best storytellers. The storytellers we work with are creative, entrepreneurial go-getters. They’ve launched podcasts, started media agencies, and pioneered reporting in their chosen fields. And they’re using the power of media to change people’s perceptions. On our trips, you’ll learn about social justice issues while improving your media skills. A portion of our profits are donated to media training initiatives that benefit youth from marginalized communities in Kenya. This way, we’re equipping the next generation of African storytellers. Join us as we travel across the country and explore how stories can change the world. Hope to see you in Kenya! KENYA AS YOU’VE NEVER SEEN IT BEFORE. 5 NIGHTS IN THE CITY. Nairobi is a bustling metropolis with so much to see and do. Here, you’ll meet with spoken word artists, health journalists, and filmmakers. You’ll explore the downtown core with former street kids who will share stories of how they survived. You’ll visit a creative centre for artists and activists in the city. You’ll also meet our charity partner, youth reporters in a slum and learn about how they tell stories about their community. 1 NIGHT IN THE WILD. You’ll spend the day at Lake Naivasha National Park surrounded by animals in the wild, hike through gorges and take a boat ride along the stunning lake, surrounded by hippos. Fall asleep to the sound of crickets and wake up to the sight of giraffes. 3 NIGHTS ON THE COAST. You’ll visit Fort Jesus to learn about the history of colonization along Kenya’s coast and the role it played in the slave trade. You’ll also explore Mombasa’s charming Old Town, with its spice markets, tuk-tuks, and narrow streets. 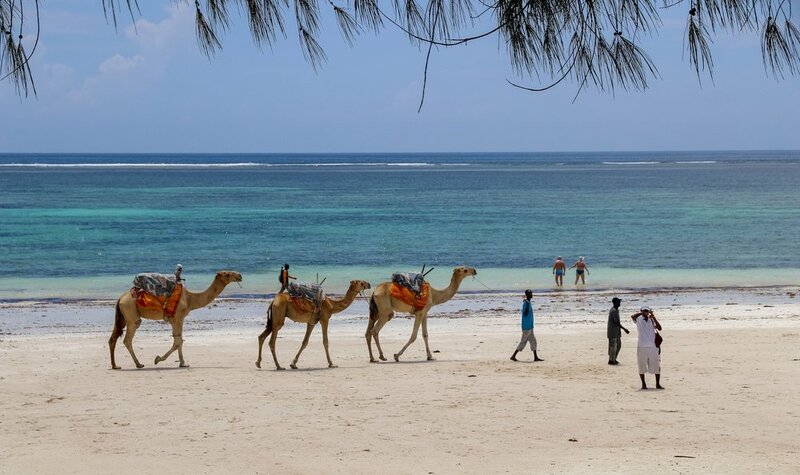 A day trip to Diani will give you a chance to relax and reflect on a beach with crystal clear waters. During this portion of the trip, we’ll be joined by the writers and photographers who are putting the coast on the map. ONE UNFORGETTABLE EXPERIENCE. $1895 USD. Once you’re signed up, you’ll get an info kit loaded with helpful tips so you can prepare for the trip. We’ll also include a list of resources from reading material to documentaries to get you excited and brief you on what to expect. We’ll have one-on-one session to answer your questions and get to know you, so that we can help tailor the final itinerary to your interests. Nairobi is a bustling metropolis with so much to see and do. Here, you’ll meet with spoken word artists, health journalists, and filmmakers. You’ll explore the downtown core with former street kids who will share stories of how they survived. You’ll visit a creative centre for artists and activists in the city. You’ll also meet our charity partner, youth reporters in a slum and learn about how they tell stories about their community. You’ll spend the day at Lake Naivasha National Park surrounded by animals in the wild, hike through gorges and take a boat ride along the stunning lake, surrounded by hippos. Fall asleep to the sound of crickets and wake up to the sight of giraffes. MOMBASA - KILIFI - DIANI. We’ll fly back to Nairobi for a final epic night. New Lens will host a closing party with all the storytellers who’ve joined us during the trip. We’ll share stories over a campfire, reflect, and celebrate. In the weeks following the trip, you’ll join the trip participants, host, and storytellers over 4 video conferences. You’ll reflect on your experience, strengthen your network, and receive feedback on any stories you’re working on. Every trip participant will also have a one-on-one coaching session with New Lens Travel founder Jacky Habib tailored just for you to discuss anything from breaking into international journalism to starting a socially conscious business. Submit an application by May 10 to be considered for this trip. My experience was not only eye-opening, it was life changing. Interacting with local storytellers taught me the value of perseverance and adaptability. When you travel, be prepared to challenge any expectations and stereotypes, including ones you didn’t know you had. If you’re on the fence about going: go! I can’t put into words how valuable this experience will be. "You get thrown into a network." "There were so many highlights." “There were so many highlights of the Kenya trip but I especially loved meeting the reporters there. Learning directly from them was a treat. I feel so excited and better prepared now on how I can tell stories. This is definitely an experience that I will never forget. "I met nothing but amazing people." 3 DESTINATIONS. ONE UNIQUE EXPERIENCE. MEET THE BOLD VOICES REWRITING AFRICAN NARRATIVES. $1895 USD. No. We do not engage in voluntary work. We recognize that locals are much better positioned to support their communities than we are. That’s why we focus on hearing their stories and learning directly from them. New Lens Travel is critical of voluntourism and if you're unsure of why, please take a look at some of our favourite resources. We actively engage our participants in conversations about ethical travel and sustainable impact. This program is open to anyone above the age of 18. Our trip participants are socially conscious and want an alternative experience to the typical tourist trips and volunteer abroad opportunities. Do I need to have specific skills to participate? No. Since you'll be engaging in learning activities, your openness to learning, flexibility and adaptability are most important. New Lens Travel leverages the lens of storytelling to create learning experiences for our participants. It's not necessary for you to have any media skills, you just need to be curious and willing to learn. Does it matter where I live or where I'll be traveling from? Nope. We accept international participants to our program. Our pre-departure training is conducted online, so all participants will receive the same preparation regardless of where they’re located. Your safety is our top concern. We follow travel advisories and only run trips in regions that are deemed safe and stable. Our field staff also inform us about the latest local safety information. We require all trip participants to have mandatory vaccinations, medications and comprehensive medical insurance for the duration of their time abroad. We also have a New Lens Travel staff member lead every group trips to provide 24/7 support and act as an emergency contact. Whether you're homesick or literally sick, your trip leader will be there for support. If you’re interested in joining us, click the button below to schedule a call. Over the call, we’ll get to know you better, make sure you’re a good fit for the trip and walk you through the next steps so you can start packing your bags! SEE THE WORLD IN A NEW LENS. EARLY BIRD PRICING: $1895 USD.